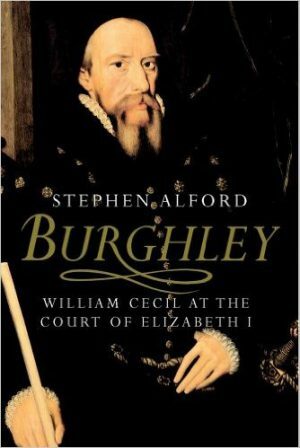 Sir William Cecil, Lord Burghley was the longest-serving and most successful politician of the Tudor age. First as Privy Councillor to Edward VI, and then as Elizabeth I’s Secretary and Treasurer, he profoundly influenced the religion and politics of the second half of the sixteenth century. Scourge of the Catholics, and implacable enemy of Mary, Queen of Scots, his life was devoted to fulfilling his vision of a Protestant nation. Cecil was a Lincolnshire man, born and bred, and he always saw that county as his own. But as a politician, he needed to keep close to the centre of power and he spent the majority of his life in and around the capital, building several houses to reflect his status. Whilst politics were central to Cecil’s life, he was also a scholar and a bibliophile. Widely read, hungry for knowledge and fascinated by architecture and maps. He also took an interest in topics as diverse as gardening, navigation, astronomy and alchemy. Cecil was a family man, close to his parents, siblings and second wife, but not all his personal relationships were successful. Burghley has been the subject of many biographies over time, from the early ones written by members of his staff to the Victorian hagiographies praising a great Protestant Statesman. Amongst modern works, the most comprehensive is that of Stephen Alford which, although not exhaustive on every topic, is a work of considerable scope.